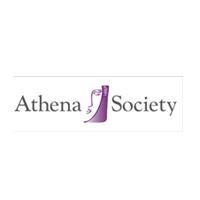 August 3, 2018 - Marian McCulloch, co-organizer with the Athena Society, addresses changing climate with regional women's coalition - Tampa Full-Service Law Firm | Allen Dell, P.A. Marian McCulloch, co-organizer with the Athena Society, and Betty Castor, Athena Society president, presented a check for $1,500 to the Science and Environment Council of Southwest Florida as a donation to support the work of the Climate Council, a facilitated network of climate professionals that will advance regional understanding of climate change and support for planning and projects through education and information sharing. An all-woman lineup of local science professionals delivered a fast-paced immersion in the economic, environmental and public health consequences of climate change for a group of sixty prominent women leaders from Tampa on Saturday at the Ritz-Carlton Sarasota. The special program was coordinated by the Climate Council of Sarasota- Manatee, a program of the Science and Environment Council of Southwest Florida, at the request of the Athena Society, a Tampa organization that supports equality in education and career advancement for women. The society’s president is Betty Castor, a former state legislator, Florida Commissioner of Education, and president of the University of South Florida. The speakers and panel discussion focused on the impacts of climate change on the food supply and human health as well as solutions that individuals, communities and industries can implement. Event co-organizer and Athena Society member Penny Parks said of the workshop, “They rocked it out of the park! I can’t tell you how many people told us how incredible the event was! The best ever we were told.” It was a “very welcome invitation” to reach an influential network of community leaders, said Jennifer Shafer, co-executive director of the Science and Environment Council.